The MOMO MOD. 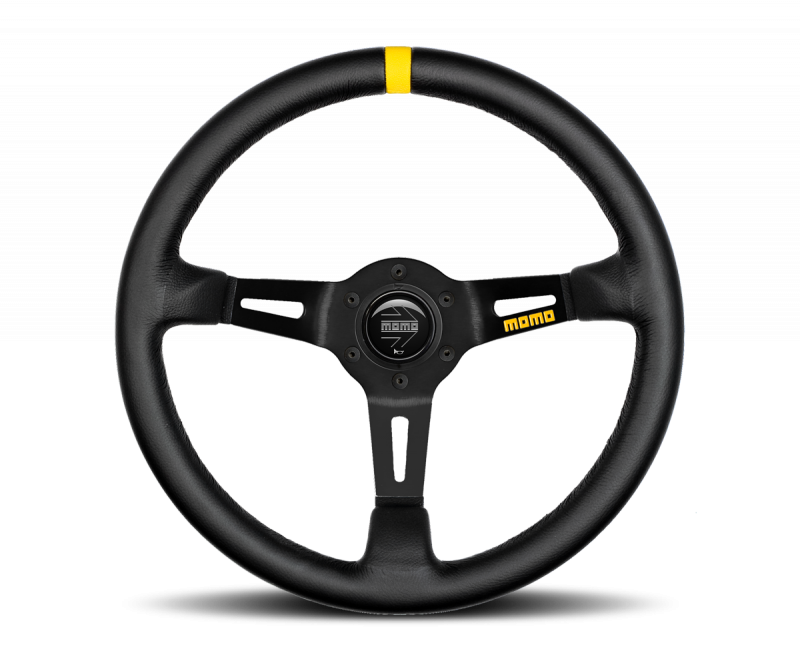 08 steering wheel has a deep 88mm dish, which is useful for older cars where the seating position is often further back. It also provides extra leverage for cars without power steering. 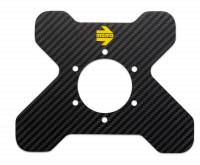 The wheel features a 350mm diameter and a yellow centering stripe is also integrated into the design.  The wheel comes with a horn button and is pre-drilled with the standard 6-bolt pattern. This is the black leather covered version.